Until you hear otherwise from the man himself, it’s probably safe to say Gov. 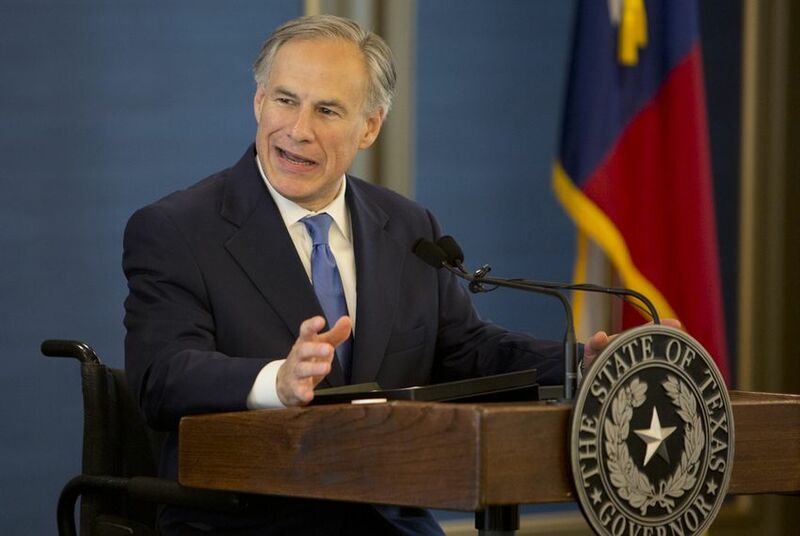 Greg Abbott has some big questions about how the state should pay for retirement benefits for its 310,000-plus employees. Governors can take sides without opening their mouths, simply by siding with people who have opened their own mouths. So until you hear otherwise from the man himself, it’s probably safe to say Gov. Greg Abbott has some big questions about how the state should pay for retirement benefits for its 310,000-plus employees. Abbott appointed Josh McGee as presiding officer of the Pension Review Board, which oversees state and local public retirement systems in the state. McGee has been an outspoken advocate for pension reform in his policy jobs with the Houston-based Laura and John Arnold Foundation and with the Manhattan Institute, alarming and angering a number of public employee unions that view such reforms as an attack on the retirement plans they hold dear. The unions want to protect the "defined benefit" plans of the sort now in place for state and many local public employees in Texas. Those require employers — governments, in this case — to come up with the money to cover the benefits they have promised their retired workers, whether those governments set aside enough money or not. "Defined contribution" plans, on the other hand, require employers to put in a certain amount without guaranteeing the outcome. Some, like McGee, have suggested phasing those in for new public employees. A defined benefit plan leaves the risks with the employer — or with the taxpayers. A defined contribution plan moves the risks to the employee, depending on how the invested funds perform. McGee, his employers and others have suggested that the problems with some underfunded defined benefit plans could be solved by phasing in defined contribution plans. And with McGee’s appointment, Abbott has effectively taken sides in that running argument. His aides declined an opportunity to elaborate. Both organizations have agitated labor unions and others with their ideas for public pension reform. And police and teacher groups took quick offense when Abbott rolled out McGee’s appointment this week. The Texas Association of Business, after watching those reactions, took the governor’s side and endorsed McGee’s appointment. Governors can appoint any Texans they choose to state boards and commissions, so long as they can get a majority of the Texas Senate to go along. Abbott did his homework on McGee. And as the putative head of the Republican Party in Texas, Abbott ought to understand the politics of this, too — who will be pleased by his appointment, who will be incensed and who won’t give a hoot. He could have Googled it. McGee, via email, said the appointment will allow him to "help improve public workers’ retirement security and pension plan sustainability." Last month — likely while he was being vetted by the governor’s appointments office — he wrote a cautionary essay for the Houston Chronicle saying that Houston’s voters, and not the state, should decide how its public employee pensions function. He wrote that pension debts in the state’s largest city have reached “record levels,” and he said Houston officials “have refused to confront the problem head-on.” He noted a lowered credit rating from Moody’s Investors Service, attributed to that debt, and he suggested that stronger local control would lead to a remedy. He has argued there and elsewhere that politicians are underfunding retirement plans and setting a financial trap for future taxpayers — and that existing defined benefit plans should be phased out as new public employees are hired. Being on the state’s Pension Review Board doesn’t give McGee the power to do that, but it would give him a soapbox from which to preach that gospel. One argument they make is that the annual costs of keeping the public pensions healthy is less than 60 percent of what cities and states spend on corporate incentives and tax breaks. The Arnold Foundation’s donations and work on pension reform have drawn criticism from public employee unions, who fear an effort to replace current plans with defined contribution plans. Those would be a boon to investment firms who would manage employee accounts, they argue, while putting the employees at risk of reaching the ends of their careers with too little money to retire. The Arnolds and McGee have defended their efforts, saying that their interest is in making the pension plans solvent and that they don’t favor any particular solution. But many of their pension-research efforts have been done in partnership with groups — the conservative Texas Public Policy Foundation is one — that have advocated for phasing out defined benefit plans. McGee himself has written favorably about defined contribution plans as an alternative to defined benefit plans. They’ve skirmished over the foundation’s contributions to various nonprofits, notably one to WNET, a PBS affiliate in New York, for a project called “The Pension Peril.” After that was publicized, those broadcasters returned the $3.5 million donation from the foundation. Whichever position you share, Abbott entered the pension battle by making his appointment, effectively adopting as friends and foes the various groups that were already warring over the proper approach to public retirement systems. That’s his first problem with McGee, who has been promoting pension reforms for years. “You would think that the purpose would be that you wouldn’t have an axe to grind if you were on that board,” he says. CLEAT endorsed Abbott in last year’s governor’s race. Wilkison says none of the state’s law enforcement groups — he calls them “some of the largest stakeholders” — were consulted about the appointment. Nearly a dozen of those groups came out in opposition to McGee’s appointment after it was announced. The presiding officer of the state’s Pension Review Board can’t wave a wand and change the way public retirements are handled in Texas, but will have a platform from which to talk to legislators and the public. Disclosure: The Laura and John Arnold Foundation is a major donor to The Texas Tribune. The Texas Public Policy Foundation is a corporate sponsor of the Tribune. The Texas Association of Business has been a corporate sponsor of the Tribune. A complete list of Tribune donors and sponsors can be viewed here.